As president and chief executive officer of Texas-based Rattikin Title Company, Jack Rattikin III has plenty of things that occupy his attention. Third-party vendor oversight and threats to the rating structure in Texas are two top-of-mind issues, but they’re not what keeps Rattikin up at night. Over the past year, a new threat has emerged to become the main reason for late-night tossing and turning for title and settlement professionals: phishing and wire fraud. Phishing emails might appear to come from a legitimate business or recognized user. Spear phishing is a more targeted email attack sent to a select number of users, while a whaling attack, also known as Business Email Compromise (BEC), is a more targeted variation of spear phishing aimed at high-profile executives or personnel who manage wire transfers. According to the latest Association for Financial Professionals’ Payments Fraud and Control Survey, a majority of finance professionals (64 percent) reports that their organizations were exposed to BEC in 2015. The FBI’s Internet Crime Complaint Center reports that “the BEC scam continues to grow, evolve and target businesses of all sizes.” Since January 2015, there has been a 1,300 percent increase in identified losses, now totaling over $3 billion. The best way to avoid being exploited is to verify the authenticity of requests to send money by walking into the CEO’s office or speaking to him or her directly on the phone. Don’t rely on email alone. Martin Licciardo, a special agent in the FBI’s Washington Field Office, said the best way to avoid getting ripped off is to verify the authenticity of requests by speaking to people directly. It is disconcerting that, in spite of safeguards being implemented, criminals are still making headway with BEC scams. The significant increase in wire fraud also suggests that BEC fraud may be more difficult to prevent than was previously believed. Over the past few years, there’s been a lot of discussion and training over the past few years about preventing outbound wires from being intercepted. According to Christopher Hacker, chief product officer at ShortTrack, criminals are now targeting the “inbound wire” of cash to close sent by the buyer..
On July 7, the Consumer Financial Protection Bureau (CFPB) finally heeded ALTA’s advice and published a warning to help alert consumers about wire fraud schemes. The warning echoed the tips in ALTA's recent consumer alert, along with alerts from the Federal Trade Commission, FinCEN and the FBI. In January, ALTA’s Board of Governors met with CFPB Director Richard Cordray to inform the bureau about the threat of wire fraud schemes. At the time, Cordray was skeptical about the frequency of the crimes and the risk to consumers, according to ALTA CEO Michelle Korsmo. ALTA also sent a formal letter requesting that the CFPB put out a consumer alert on the topic. In addition, Title Action Network members sent nearly 1,000 messages to 241 members of Congress asking them to reach out to the CFPB to publish a consumer alert on wire fraud. To help raise awareness about wire fraud, ALTA created a 2-minute video that provides four tips on how consumers can protect their money and offers advice on what to do if they have been targeted by a scam. 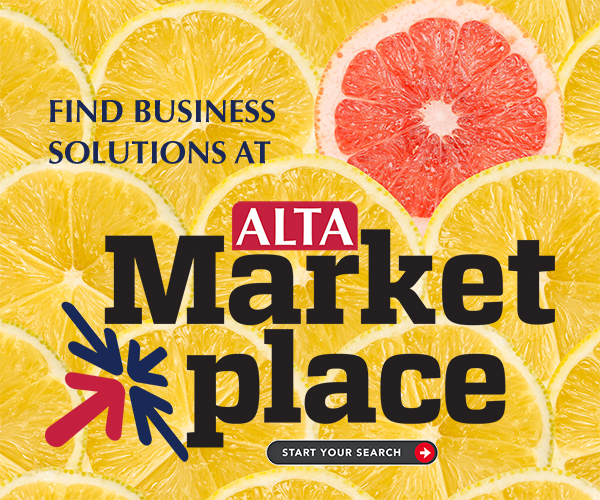 ALTA members are encouraged to link to this video from your website, include in email or share on social media. ALTA also is creating an infographic that members will be able to brand with their logo and company information to help raise awareness. Other regulators already have issued warnings. In February, the Missouri Department of Insurance (DOI) followed the Colorado Division of Real Estate at the Department of Regulatory Agencies, the Federal Trade Commission and the Financial Crimes Enforcement Network (FinCEN) in issuing warnings about fraudulent email and money wiring scams. Following several investigations related to fraudulent email schemes during real estate transactions, the Missouri DOI reported that emails were received in each instance changing the original instructions for disbursement of funds previously provided by a consumer. The Colorado regulator encouraged title professionals to implement procedures to “verify and call back” to the consumer, ensuring the instructions are correct. In addition to training, companies need to enhance computer security while also following sound policies and procedures to reduce risk. Like many companies, Rattikin Title has a dual verification policy for any wire transfer—any wire initiated by a closer must be verified by another escrow officer. Many times, the fraudulent emails involve wires asking for less than $100,000 so the transactions don’t attract the FBI’s attention. Rattikin says his company forwards every suspect wire transfer request to the FBI. Be aware! Online banking fraud is on the rise. If you receive an email containing WIRE TRANSFER INSTRUCTIONS call us immediately to verify the information prior to sending funds. Due to increased fraud, buyers, sellers and lenders should confirm all wiring instructions by phone directly with our office before transferring funds. WARNING! WIRE FRAUD ADVISORY: Wire fraud and email hacking/phishing attacks are on the increase! If you have an escrow or closing transaction with us and you receive an email containing Wire Transfer Instructions, DO NOT RESPOND TO THE EMAIL! Instead, call your escrow officer/closer immediately, using previously known contact information and NOT information provided in the email, to verify the information prior to sending funds. Emailed transaction instructions direct wire transfers to a foreign bank account that has been documented in customer complaints as the destination of fraudulent transactions. Emailed transaction instructions direct payment to a beneficiary with which the customer has no payment history or documented business relationship, and the payment is in an amount similar to or in excess of payments sent to beneficiaries whom the customer has historically paid. Emailed transaction instructions are delivered in a way that would give the financial institution limited time or opportunity to confirm the authenticity of the requested transaction. What If You Get Phished? Notify consumers of the scam. If you are alerted to a phishing scam in which fraudsters are impersonating your business, inform your customers as soon as possible. If your business has a social media presence, announce the scam on your social media sites and warn customers to ignore suspicious emails or texts purporting to be from your company. You can also inform your customers of the phishing scam by email or letter. The important point is to remind your customers that legitimate businesses like yours would never solicit sensitive personal information through insecure channels like email or text messages. Contact law enforcement. If you become aware that criminals are impersonating your business, report the scam to the FBI’s Internet Crime Complaint Center (www.ic3.gov). Suggest that affected customers forward any phishing emails impersonating your business to the Anti Phishing Working Group (www.antiphishing.org), a public-private partnership against cybercrime. Provide resources for affected consumers. If consumers believe they may be victims of identity theft because of a phishing scam, direct them to www.identitytheft.gov, where they can report and get resources to help them recover from identity theft. For more information about recommended computer security practices, direct consumers to resources on the FTC’s consumer information site, where they can learn how to protect themselves online and avoid future phishing attacks.